CLEVELAND - The man, the hero and now a legend. The Painesville man credited for corralling the opossum at FirstEnergy Stadium in September now has a Twitter account. Greg Pleasant became an internet sensation overnight when he handled an opossum like a boss during the Browns-Jets game. When News 5 visited his home, he admitted he doesn't use social media, but that has clearly changed. RELATED: There's another sighting of Rally Possum at FirstEnergy Stadium, but it's not where you expect it It's almost too good to believe. 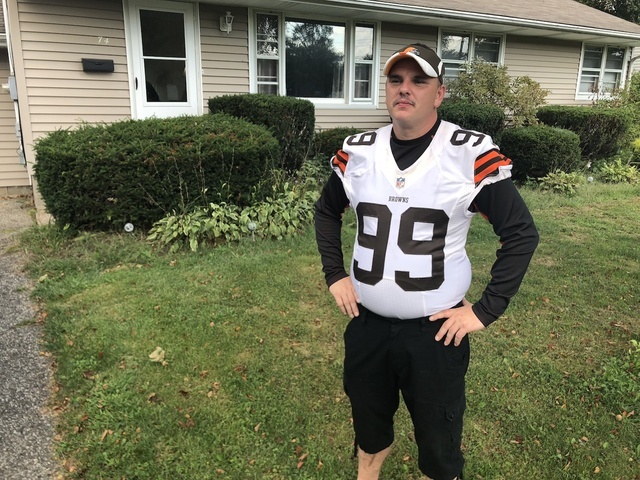 That's why Pleasant posted a video on Thursday as one of his first posts on his account, letting Cleveland Browns fans know it's really him in the flesh. He told fellow Browns fans that he is looking for a good tailgating party. If you're tailgating at the Muni Lot, contact this rising local celebrity. This is definitely one Twitter handle to watch the rest of the season. Ahead of Sunday's game against the Chargers, the Browns Pro Shop is selling a stuffed opossum for fans to bring to the game. CLEVELAND – The man, the hero and now a legend. The Painesville man credited for corralling the opossum at FirstEnergy Stadium in September now has a Twitter account.